“Let’s talk about Sweden.” These are words that will make any Swede groan. When it comes to world affairs, Sweden prides itself on being a neutral and non-aligned nation. This is a country that has been dubbed “the worst place to make friends” due to its people’s shyness. To say they do not like a lot of attention almost feels like an understatement. Though Swedes might not like the spotlight, when it comes to women’s soccer, they deserve a bright one. For many who follow the game, it feels almost random that Sweden, a country with 10 million people which is not a men’s soccer powerhouse, has been one of the captains steering the ship of women’s soccer for decades. From the beginning, Sweden has found itself on the front lines of what was once a marginal but is now an international movement. Many seeds of women’s soccer were planted here. Similar things were said about Croatia and Iceland, small countries who achieved the impossible, at the 2018 Men’s World Cup. They turned heads and defied odds. Media ran with their stories. We fell in love with them. They presented examples of what the beautiful game was ‘all about’ – how its significance could transcend sport. Sweden’s women’s team is not like the men’s teams of Croatia or Iceland. They are not a Cinderella story. If you had to put a label on it, they are more of a legacy story. They are a team that is used to winning, used to being at the big tournaments, used to playing against the best. However, they do not have the glitter of a legacy team. They do not have a stacked trophy case. They have never been ranked No. 1 in the world. They have top talent but have not produced a star like Marta or Alex Morgan. They do not have a readily-available reason behind their success, like a U.S. or Germany. So, considering all this, it feels like — Swedes beware — we really should talk about Sweden. Sweden has made a name for itself as a leader and dominant force in the women’s game. Since the creation of the FIFA women’s rankings, they have held an average rank of 5th in the world. Sweden has appeared in every Women’s World Cup since the inaugural tournament in 1991. Every four years, they perform well, going as far as finishing runners-up in 2003. As Hope Solo might be reluctant to admit, they also have historically done well in the Olympics. Much of their success on the international stage is due to their top domestic league, the Damallsvenskan. The Damallsvenskan, since it was established in 1988, has long been hailed as the gold standard of women’s professional soccer. It seems as if every star in the game of past and present — from Michelle Akers to Marta — has enjoyed a stint in the league. It has provided consistent, quality play for top women’s soccer talent from around the world. But the Damallsvenskan has been more than that, still. For many, it has been a haven, a place to play when there was none — when countries had not yet invested in women’s soccer or when a league had folded. It has developed promising talent and welcomed proven stars. (Marta arrived at age 18 and developed at Umea.) 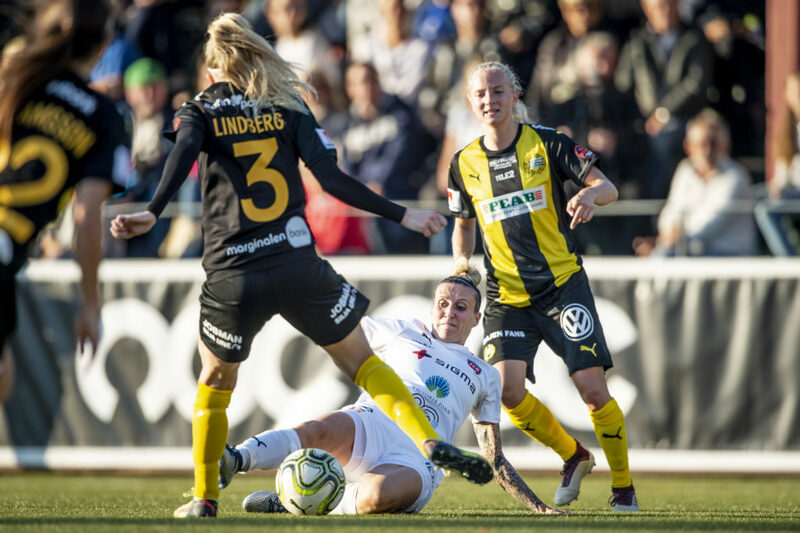 Though professional women’s soccer around the world has walked a rocky, often tumultuous road, the Swedish league has remained on sturdy legs. How did Swedish women’s soccer become an impactful entity in the first place? To understand, we must gain some basic knowledge of the socio-economic and cultural climate of the country. Essentially, what makes Sweden, Sweden.